The Hedges Chateau is in the middle of our vineyards in the heart of Red Mountain. Our story spans generations and oceans, finally bringing us to Red Mountain where the story will always continue. Tom Hedges from Richland, Washington marries Annie-Marie Liégeois in her hometown, Ossey-les-Trois-Maisons, Champagne, France. Tom and Anne-Marie begin their wine adventure shipping California and Washington State wines to Taiwan after traveling the world in the produce industry. Tom and Anne-Marie purchase fifty acres on Red Mountain in the Yakima Valley and plant forty acres of bordeaux grape varieties. Tom Hedges led a career in International Marketing focusing on food commodities. He was employed by Castle & Cooke foods from 1976-1982 heading up offices in Buenos Aires, Pennsylvania, Arizona, and Vancouver, Canada. Next, he worked for Pandol Bros., a small dutch trading company in Seattle, importing Chilean produce and exporting fruit to the Far East and India. In 1984 Tom served as President and CEO of McCain Produce Co. in New Brunswick, Canada farming potatoes for export. Tom met his French wife, Anne-Marie, in Guadalajara, Mexico at the Autonoma University of Guadalajara in 1975. Together they have raised two children. From an early age Anne-Marie had a sense for adventure. Growing up with stories about the second world war, tales of the French resistance and visits from a British soldier saved by her grandfather from being captured by the enemy, it is no wonder that she wanted to see the world. Accent in hand, she adapted to new food but still loved a good coq-au-vin. She tried her beer but her taste for good wine was too strong. 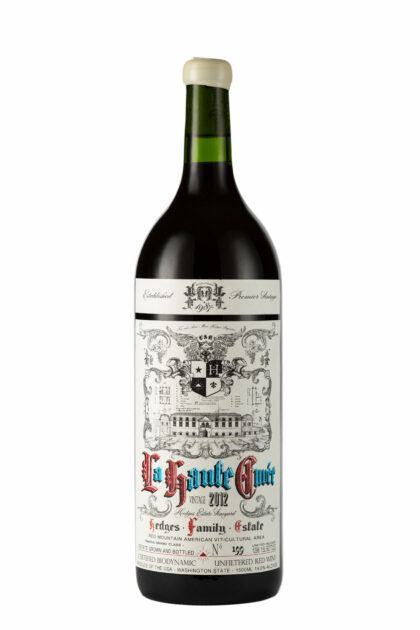 Her grandfather, Marcel Dupont, Chevalier du Tastevin, had made sure of that. Tom's work in international trade resulted in 11 moves for the family in 10 years—from the west coast of the United States to the east. From the west coast of Canada to the east, from warm Arizona where son Christophe was born to exotic Buenos Aires where daughter Sarah was born. Finally in 1986 Anne-Marie and Tom settled in Washington state to start Hedges Cellars. Anne-Marie stayed behind closed doors doing bookkeeping and sales support while Tom looked for banks and customers. The transition from Finishing School in Paris in 1976 to performing an accounting role in the States was a bit of a stretch. Anne-Marie decided to go back to school and graduated with an AA degree in accounting. Anne marie still handles some of the vineyard accounting and numerous other administrative tasks necessary for a small business owner. She is active in various non-profit organizations in the state of Washington. Anne-Marie is also a willing ambassador for Hedges Family Estate, the Red Mountain AVA and the Washington state wine industry. Her accent is still there, her french sense of style never left, her food preference is still old world but her taste for wine is distinctly American—Hedges Red Mountain. Naturellement! In 2005, she decided to move back home and start working for the family winery. 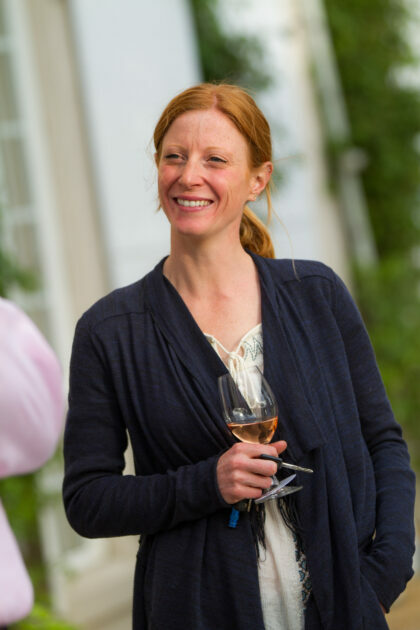 She joined the winery full-time in 2006 as Assistant Winemaker and two years later had completed her certificate degree in enology from Washington State University and started the label Goedhart Family with her husband. 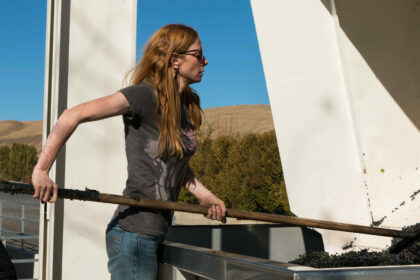 After her uncle and mentor retired in 2015, Sarah became head winemaker. Sarah’s love for fermentation doesn’t stop with wine. She bakes rustic breads in the wood fired oven using a starter she created with our biodynamic grapes. You can also find yogurt and sauerkraut crocks bubbling away in her kitchen. She loves to cook, garden and keeps it all in check with daily yoga. She also has a deep love for animals big and small. 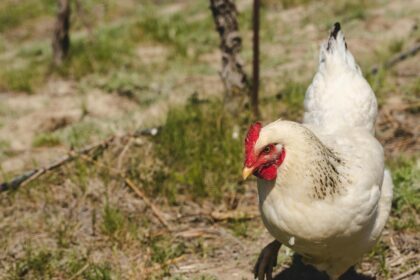 She lives in Richland, Washington with her husband, Brent, their sons Lucas and Trevor, their dogs Otto, Shadow and Jackson, their 4 chickens and a turtle named Cowboy. Her favorite wine is whichever wine she is drinking with good friends. Hobbies: Collecting and drinking wine, eating good food, working outside in the vineyard, masonry/sculpting with stone, traveling. A native of South Carolina, Boo attended the College of Charleston where he earned a BA in music composition. His instrument: the banjo. While at the College of Charleston, Boo became the banjoist for the avant-garde punchgrass band, The Biscuit Boys, and continued his career with them in Nashville after graduating. He traded his banjo career in for a life of finance in 2002 and spent the next six years working for Automated Trading Desk in Mt. Pleasant, SC. During this time, wine flowed like the salmon of Capistrano, and what started as a passion in wine became an obsession. So much so that he left it all behind, grew out a handlebar mustache, and moved clear across the country into a double-wide trailer situated on 5 acres of Malbec vines just down the road from Hedges Family Estate, a winery he had come to admire immensely. The Hedges family took him in and taught him the art of farming, breaking his sedentary, computer-driven lifestyle. Boo is an official Guardian of Red Mountain, with the mark emblazed on his arm. More in tune with life than ever before, he is now an emissary of the estate and a soldier of the dirt. He lives on a gentleman's farm along the Yakima River in the declassified zone of Red Mountain. He's also an accomplished author and has just wrapped up his latest book, Red Mountain, a fictionalized version of life in this world-class AVA. Born and raised in Kansas City, Dylan graduated from the University of Kansas in 2008 with a degree in theatre and film but had always had an extreme passion for food and wine. 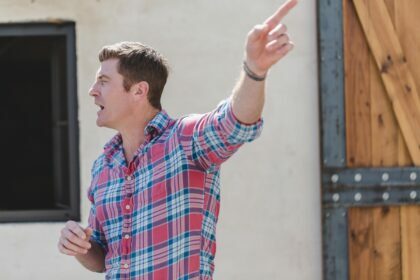 He began his journey in the wine industry in the summer of 2008 working for a small, family-owned distributor covering the Kansas City and Wichita markets, garnering hundreds of thousands of windshield miles in the Land of Oz. In 2010, Dylan was swept off his feet by a beautiful PhD candidate in the Social Psychology program at KU, and after a whirlwind courtship, Dylan and Kelly were married and her career in academics took them to East Iowa where he began selling wine and clocking miles for another family-owned, fine wine distributor, but not before they found time to honeymoon to the Pacific Northwest. In May of 2012, the two were legally bound and found themselves visiting Red Mountain and staying at the Hedges' estate; Dylan dug is toes in to the terroir and dreamed of someday working for The Mountain, learning from it and telling its story, guarding it and spreading its gospel, not knowing that 5 years later he would be doing just that. Dreams can come true. Dylan is a proud Jayhawk (rock chalk), MMA fanatic, cyclist, and loves Doctor Who. He adores cooking and will wax poetic about smoking meats; he likely has BBQ sauce in his blood. He loves pairing grower champagne with burnt ends, drinking cru Beaujolais with his wife, and crushing bottles of rosé while watching his two Welsh terriers play in the backyard. He trains Brazilian jiu-jitsu as much as possible and competes in grappling competitions several times a year. Happiness is sharing good food and good wine with family and friends while a Tom Waits album plays in the background. Originally from south Florida, Molly slowly moved across the country, taking up residence in Missouri, Wyoming and California. Molly moved to Seattle from the Bay area after six years as a Royalty and Severance Tax accountant at Chevron USA. She graduated with a BS in Accounting from CA State University, Sacramento in 1989 and passed the CPA exam in 1990. Molly enjoys running, hiking, biking, traveling, and wine tasting. With a background in agriculture and a degree from Washington State University in Landscape Architecture Adam applies his varied knowledge to shipping online orders, loading trucks, fixing broken water mains, repairing tractors, and tackling whatever problems Red Mountain can throw at him. When he is not working on the Estate he can be found exploring the trails of eastern Washington in a pair of very dusty running shoes. Ryan and Heather Brown are from the Mt. Hood area of Oregon and both graduated from the Western Culinary Institute. They’ve been married for nearly three decades and have managed restaurants and lodges throughout western America. They are both outdoor enthusiasts, sharing such passions as skiing, hiking, and biking. They now focus their energy on enhancing the experience at the estate on Red Mountain. Kathy was born and raised in Seattle and attended the University of Washington where she received her bachelor's degree in International Studies. Kathy began her management career in Seattle at Allstate Insurance Company working for sixteen years in both Seattle and Ohio. Kathy earned her Master of Business Administration at Kent State University. When presented with the opportunity to move to Europe in 2000, Kathy jumped off the corporate ladder and immersed herself in the culture, living in Belgium and in a small village in the Southwest of France and working in local vineyards, traveling extensively, and becoming a fluent French speaker. Kathy pursued her love of wine and obtained the prestigious D.U.A.D. from the University of Bordeaux, and the Certified Specialist of Wine CSW solidifying her passion for the world of viticulture and wine production. After 16 years in Europe, Kathy returned to the United States to be closer to her family, and especially her two grandsons. She is thrilled to be back in Washington - now a Husky in Cougar territory - and eager to forge her Washington roots with her European experience to serve the Hedges Family Estate. James grew up in Woodinville, Washington, and then attended the University of Idaho where he earned a degree in Environmental Science. While in college, James spent time with his brother in Napa Valley, CA where he had the privilege of seeing and working in some of Napa Valley’s top vineyards. That made James fall in love with wine culture and ever since then he has been working on the vineyard side, which is his passion. He is a strong believer in terroir, Red Mountain and Washington wine. When James is not in the vineyards he enjoys fly fishing, camping, hiking, and golfing. He also enjoys coaching his daughter's basketball team. James lives in Kennewick with his wife Meri, daughter Makenna, son Kaleb, and two Golden Retrievers. Over the years Hedges Family Estate has helped many non-profit organizations, and continues to contribute an average 10% of net profits to charitable causes. We receive so many requests each day that it is impossible to participate in all the wonderful charities that come our way. Visit the News & Events blog to see how we’ve worked with some of our favorite non-profits. Thank you for submitting your sponsorship request. We'll be in touch shortly. A visit to Hedges Family Estate is the perfect way to experience Red Mountain wines.